Young the Giant. The alternative rock band will headline Dillo Day on June 2, Mayfest announced Thursday. 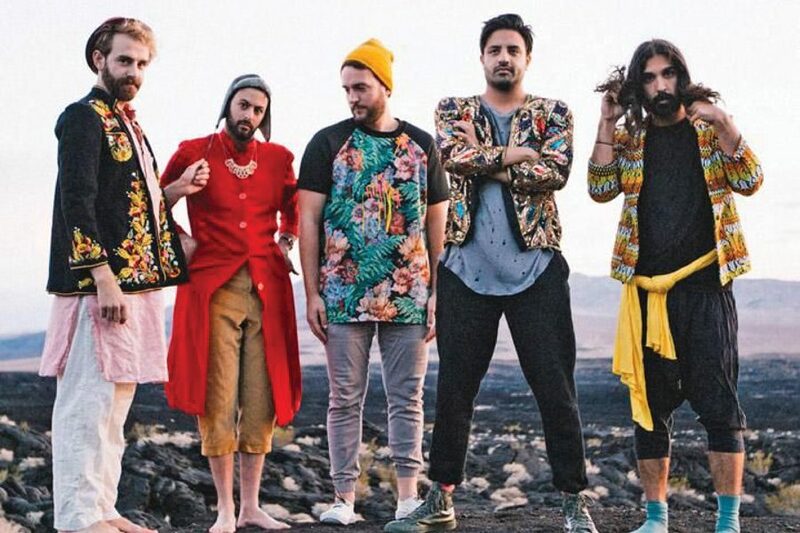 Alternative rock band Young the Giant will headline Dillo Day, Mayfest announced Thursday. Formed in Irvine, California, the band was initially known as The Jakes but changed its name to Young the Giant in 2009. The band released its eponymous debut album in 2010. Mayfest co-chair Keaton Sullivan said he was particularly impressed by Young the Giant’s live performances. Three singles from their debut album — “My Body,” “Apartment” and “Cough Syrup” — reached the top five on the U.S. alternative songs chart. The band has played sold-out shows at venues like Radio City Music Hall and the Aragon Ballroom. Young the Giant has also been very active on the festival circuit, and has played a plethora of festivals, including Lollapalooza, Outside Lands and Governors Ball. Mayfest co-chair Andrew Hunter said he was impressed by Young the Giant’s sustained success. In 2014, the group released their second album, “Mind Over Matter,” to critical acclaim. Their third album, “Home of the Strange,” was released in 2016, and the band is currently working on a fourth album. This is the second straight year that a band has headlined Dillo Day, after alternative rock band MGMT performed in 2017. In addition to Young the Giant, EDM artist TOKiMONSTA, R&B artist Daniel Caesar and indie rock band Whitney will perform, while the daytime headliner remains to be announced. In a news release, Mayfest director of concerts Grant Pender said Young the Giant consistently produces impressive live sets. “Whether you know all their deep cuts, or just their earlier hits, or more recent bangers, or have never heard of them, they have a consistent track record of delivering excellent live sets with a strong, charismatic lead singer, and put on energetic shows that can be widely enjoyed,” he said.